From the humbug striped suit of Beetlejuice to the chic lines of a Parisian Breton tshirt, stripes have long been a classic, go-to print for fashionistas across the globe. 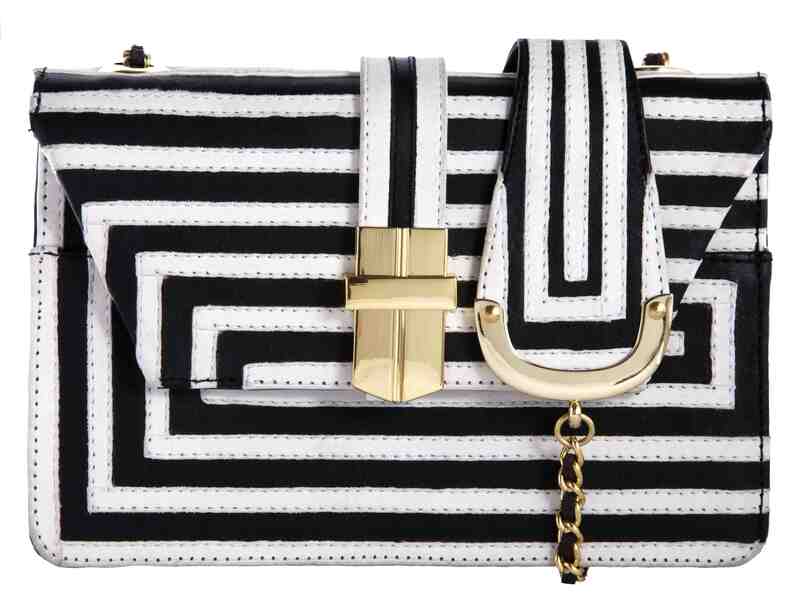 However, this bold graphic is having a revival on the runways, as well as here at Angel Jackson with our Optical Clutch in monochrome leather. 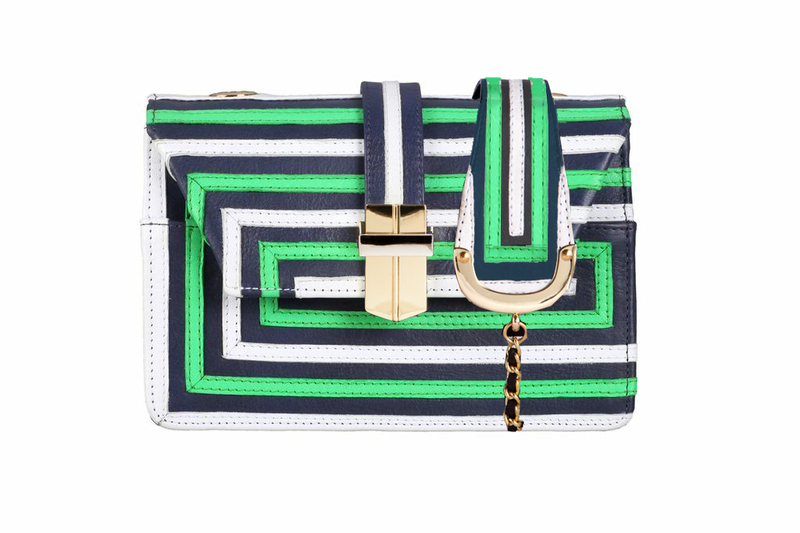 The bag can be worn across the body or tucked under the arm, and is the perfect accompaniment to the stripes trend this Autumn. When it comes to this trend, the old adage of ‘less is more’ is not necessarily the case. 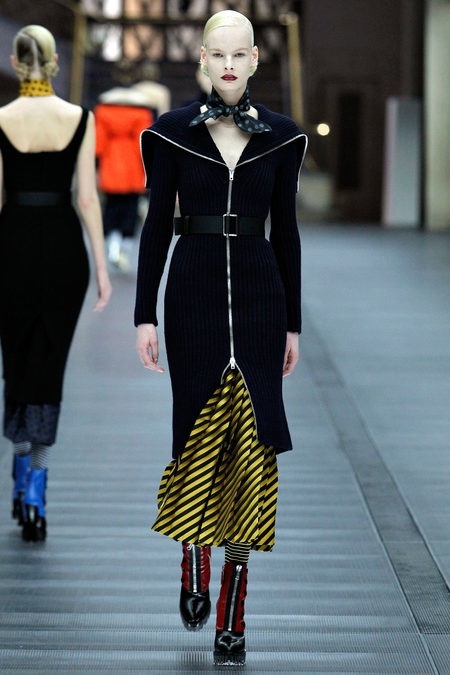 Why not take heed from Miuccia Prada’s collection for Autumn/Winter 2013 and have fun with your stripes. Miu Miu is often associated with that longed for French ‘je ne sais quoi’, but for this season’s collection Ms Prada looked to the more fun and flirty side of Parisian style, pairing Pippi Longstocking-esque stripey tights and calf skimming underskirts with a jaunty polka dot neckerchief. We were transported back to the reign of the enfant terrible himself, Jean Paul Gaultier in the 1980s and his ever-present motif of Breton stripes and coquettish take on French style. 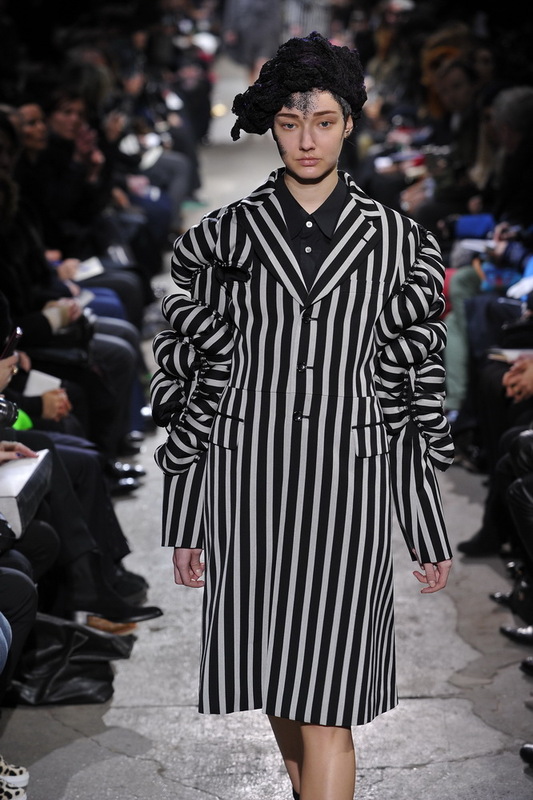 For the same season, Comme des Garcons put their own idiosyncratic twist on the trend, choosing to emphasise their deconstructed tailoring with monochrome stripes; think Op Art meets Belle Epoque, an unexpected yet striking combination. If the flamboyance of Comme des Garcon’s is a little overwhelming, Marc Jacobs presented a 1960s style collection for Spring/Summer 2013 that gave birth to an onslaught of Mod inspired looks. New York It girl Edie Sedgwick was undoubtedly the poster girl for Jacobs’ collection, as models sauntered down the runway in graphic tshirts and scalloped edged minidresses. Amongst the looks best suited to Warhol’s factory there were also elegant skirt suits; perhaps a reference to Ms Sedgwick’s high society upbringing and transformation to underground muse of Warhol. Our optical clutch comes in striking black and white or add a pop of colour with our monochrome and yellow version. Whether you go all out for stripes and pair your bag with a Marc Jacobs-esque look or want to add a flash of graphic interest to a simple outfit, our Op Art inspired clutch is the ideal accessory for this Autumn’s bold trend. ← Polka dot fashion frenzy….